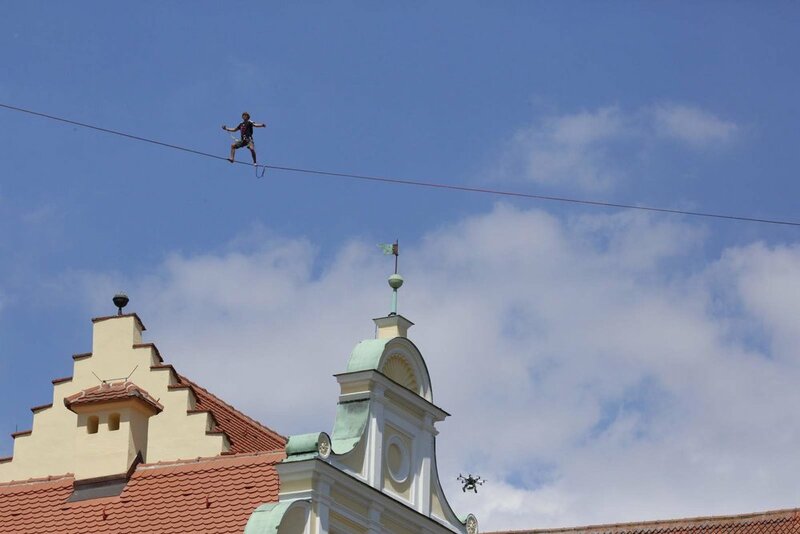 The whole One Inch Team had come together in Ingolstadt once again to rig a (this time legal) urban highline. It was set up between Pfeifturm and Moritzkirche. By the way, it was the first highline in Germany anchored at a church; this is even more remarkable as it took place in the rather conservative Bavaria.